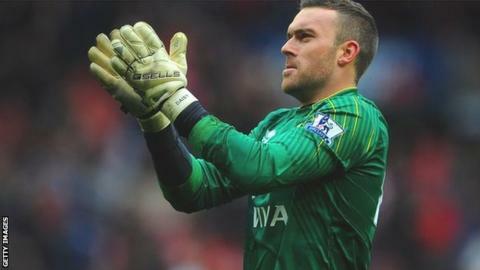 Bournemouth have extended the loan deal of goalkeeper Lee Camp until 1 January. Camp, 29, joined on an initial month-long loan from West Brom at the end of October, following injury to West Ham loanee Stephen Henderson. He has played three times for the Cherries, conceding four goals. "I'm really happy," Camp told the AFC Bournemouth website. "I'm enjoying playing football and I'm just glad the two clubs have been able to get everything agreed." Meanwhile, 18-year-old forward Harry Cornick has signed a new two-and-half year contract with the Cherries. Cornick, who was signed from non-league Christchurch, has yet to make a senior appearance for the club.